Tunisia’s political crisis deepened this week with the emergence of a split in the ruling Islamist Ennahda Party and the subsequent resignation of Ennahda prime minister Hamadi Jebali on February 20. 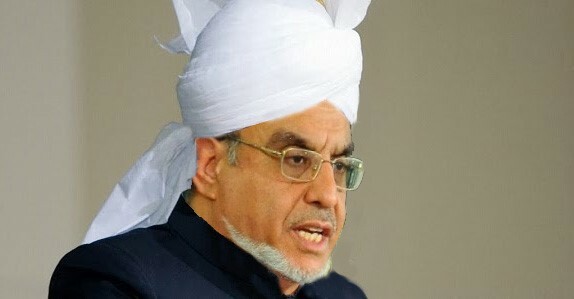 The split was the consequence of Jebali’s attempts to form a new government of technocrats in the wake of the February 6 assassination of Chokri Belaid, the 48-year-old secretary general of opposition party al-Watad (the Movement of Democratic Patriots – MDP). The assassination and the announcement soon after that Prime Minister Hamadi Jebali intended to form a new “apolitical government” of technocrats to replace the existing government created a rift within Ennahda, which had the most to lose from the proposal. Jebali is Ennahda’s secretary-general, but admits he did not consult the party before deciding on a new government: “The situation is difficult and urgent; there is a danger of violence. What can I consult about? I’m the head of the government. I could not wait” (Le Monde, February 11). Jebali, like Ennahda party leader Rachid Ghannouchi, was set on fast-tracking the new constitution in order to begin the first round of elections in July. At the time of his resignation it is estimated that Jebali had the loyalty of less than 25% of Ennahda (Jeune Afrique, February 17). Ghannouchi denounced the proposed new government as being a way to “circumvent the legitimacy” of the electoral “victory” won by Ennahda (Tunisian Press Agency, February 17). Ennahda took 89 of the 217 seats in Tunisia’s National Constituent Assembly in the October, 2011 election. The Islamist party was far from forming a clear majority in the elections, but succeeded in forming a government as senior partner in a coalition with Mustapha ben Ja’afar’s Ettakatol party and President Moncef Marzouki’s Congress for the Republic. The three-party coalition is popularly known as “the troika.” Ettakatol supported the formation of a government of technocrats (Tunisian Press Agency, February 17). Ennahda’s insistence on holding all ministerial positions of importance is one of the most important factors behind Tunisia’s current political turmoil. The party is now seeking an Ennahda member to serve as a replacement for Jebali but has hinted it might be willing to open up senior ministries to members of other parties. The current crisis was sparked by the death of Chokri Belaid, who was assassinated by two gunmen outside his home on the morning of February 6 (see Terrorism Monitor Brief, February 8). Belaid’s colleagues claim that the well-known critic of the ruling Islamist party was preparing to make public on February 15 various files he had built on the corruption of a number of top government officials (Jeune Afrique, February 17). Though no evidence has been provided to substantiate the allegations, Ennahda has been widely accused of orchestrating Belaid’s murder. Belaid’s family has been especially vocal in its accusations of Ghannouchi and Ennahda, and on February 11, Belaid’s widow joined thousands of demonstrators outside the National Assembly in calling for the resignation of the government (Jordan Times, February 13). Ghannouchi and other Ennadha leaders were told by Belaid’s family to stay away from the political leader’s funeral, as were representative of the other two parties in the coalition government. Ennadha responded by organizing marches of their supporters on February 15 and 16 to support the “legitimacy” of the government and “express the unity of the movement” (Tunisian Press Agency, February 16). Speaking to a rally of Salafists and Ennahda members on February 16, various Islamist leaders denounced the formation of a government of technocrats, claiming it was a “conspiracy against the electoral legitimacy” of the government (Tunisian Press Agency, February 17). The key question is: ‘Who profits from this crime?’ We, the Ennahda party, are the biggest loser because we are responsible for Tunisia’s security. Why should we harm the security while we are governing? … This attack is an attempt to destroy the image of Ennahda, destabilize the government, and bring Tunisia to the brink of civil war. The attack is equivalent to a coup… The coup aimed to drive the elected Ennahda ministers from the cabinet. On the very day of the attack the prime minister suggested appointing a government of technocrats. He has been driven into a corner by Belaid’s murder (Sueddeutsche Zeitung [Munich], February 17). As Islamists pilloried Belaid before his death as a “saboteur of the revolution” and “an agent of foreign powers,” the Watad leader was personally warned of plots on his life by Tunisian president Moncef Marzouki, who has frequently warned of violence by Islamist extremists in Tunisia (see Terrorism Monitor, November 30, 2012). 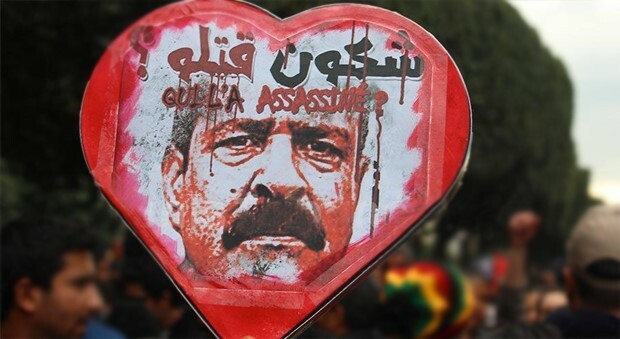 Belaid’s assassins were not interfered with by the Interior Ministry, which had been warned of the threats, or the secret service, which was similarly alerted and has responsibility for protecting opposition leaders as well as government leaders (Jeune Afrique, February 17). A memorial dedicated to Belaid was destroyed by unknown parties earlier this week (TunisiaLive, February 18). Only days before his death, Belaid had pointed out that the regime had given its approval to political violence by calling for the release from prison of members of a pro-Ennahda militia (the League for the Protection of the Revolution) that were involved in the death of leading Nida Tounes party activist Lotfi Naqdh (Jeune Afrique, February 17). The same militia is perceived as a prime suspect by many Tunisians in the murder of Belaid (al-Jazeera, February 16). Economic stagnation has helped provide a recruiting pool for extremists amongst Tunisia’s youth, who are typically well-educated but suffer from over 30% unemployment. Recruitment bonuses of as much as $27,000 for young men willing to perform jihad in Syria are very enticing compared to the absence of prospects at home (Jeune Afrique, February 13). A local report recently claimed that dozens of young Tunisians had been killed fighting for the Islamist Jabhat al-Nusrah and other insurgent groups when a Syrian government airstrike hit a concentration of Islamists near the Aleppo airport, killing 132 fighters (Shams FM [Tunis], February 13; al-Sharq al-Awsat, February 15).